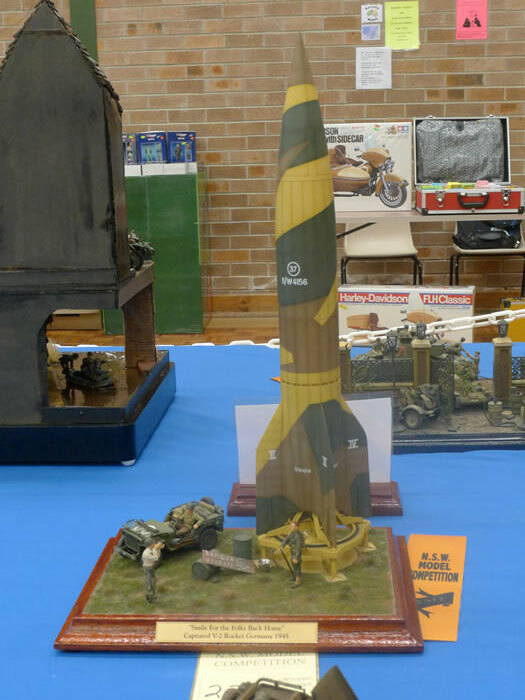 Last weekend I visited the 2012 NSW Scale Model Competition and Expo, hosted as usual by the Illawarra Plastic Modellers Association. 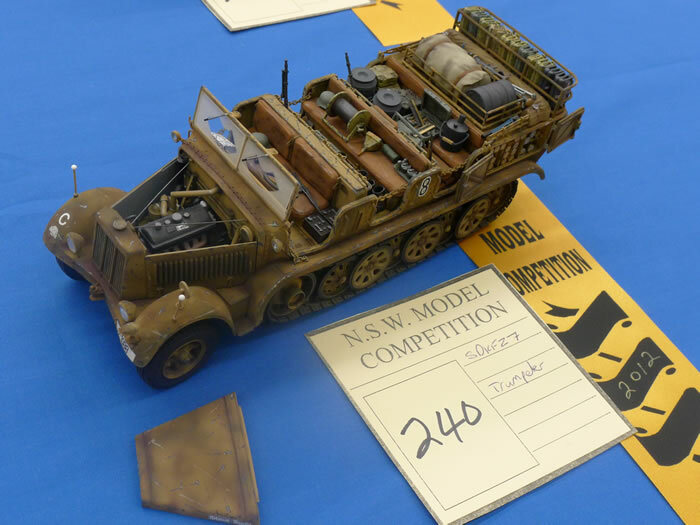 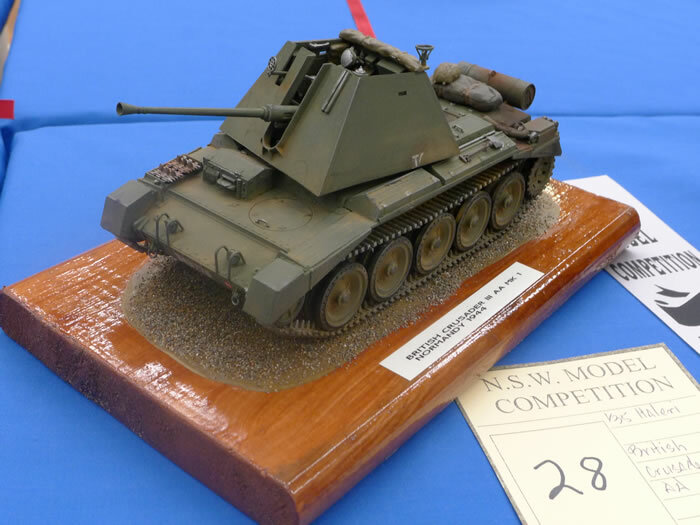 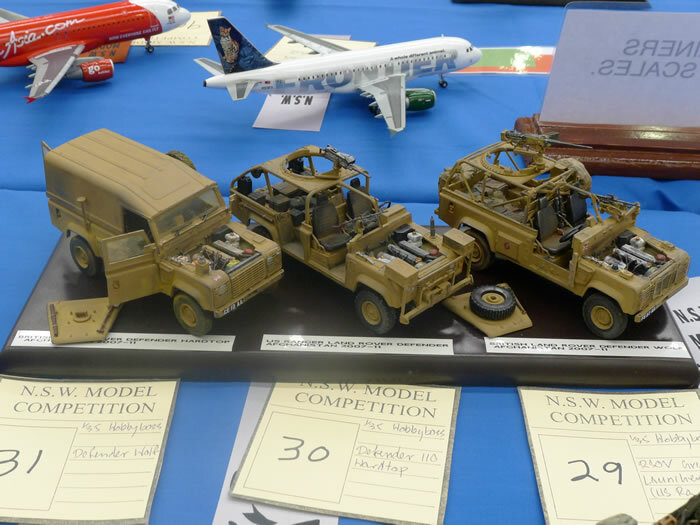 The two-day competition is open to all modellers, and is held in a large and bright Community Centre in Koonawarra, south of Wollongong and about 100km south of Sydney. 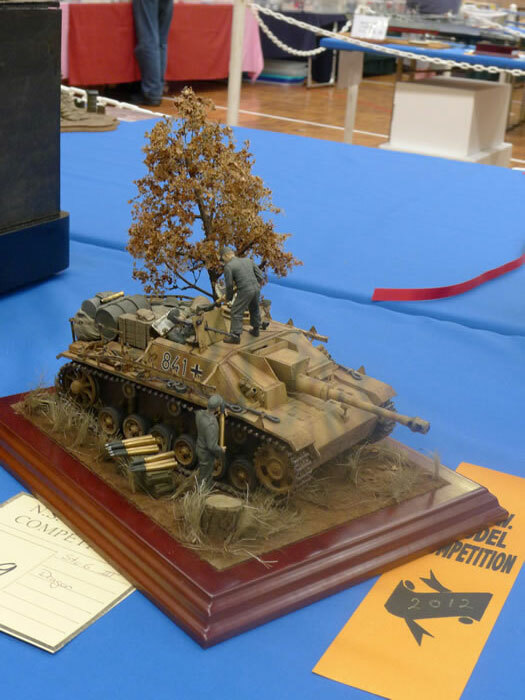 The Expo was well attended and the standard of competition entries was very high, with a good variety of subject matter and scales, including aircraft, armour, ships, submarines, figures, cars and more. 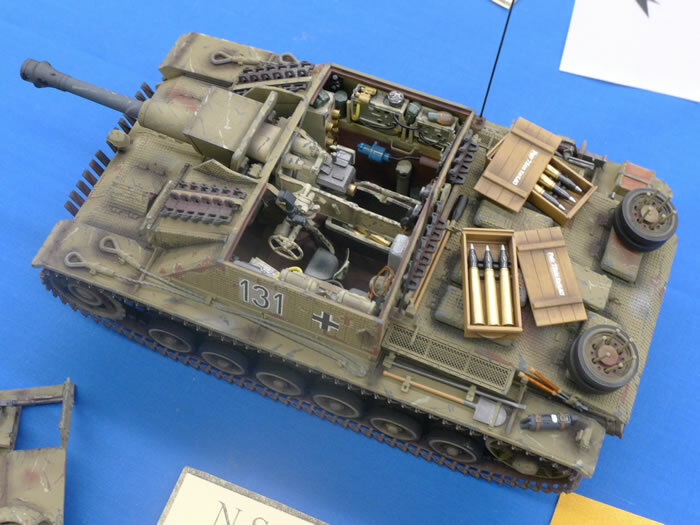 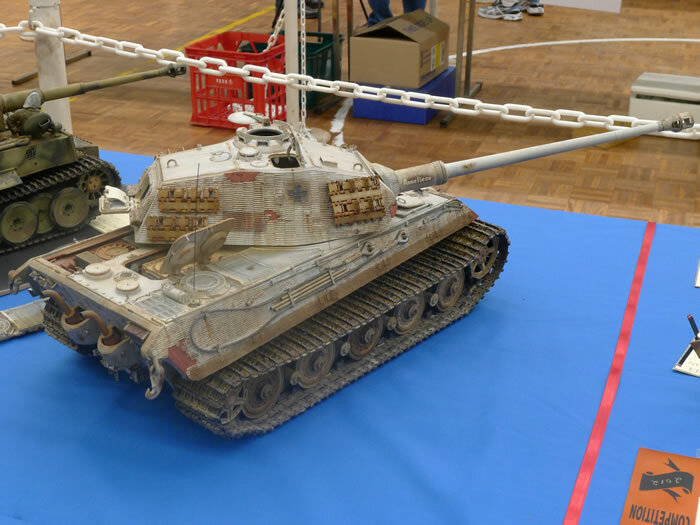 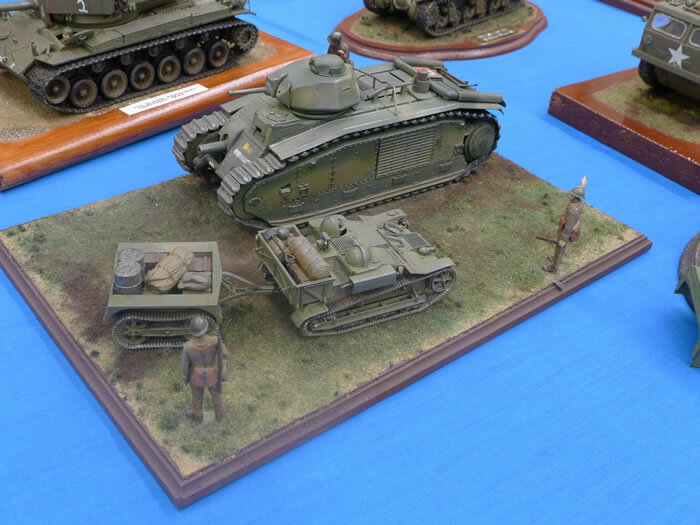 It was also nice to see displays of models and militaria in addition to the kits in competition. 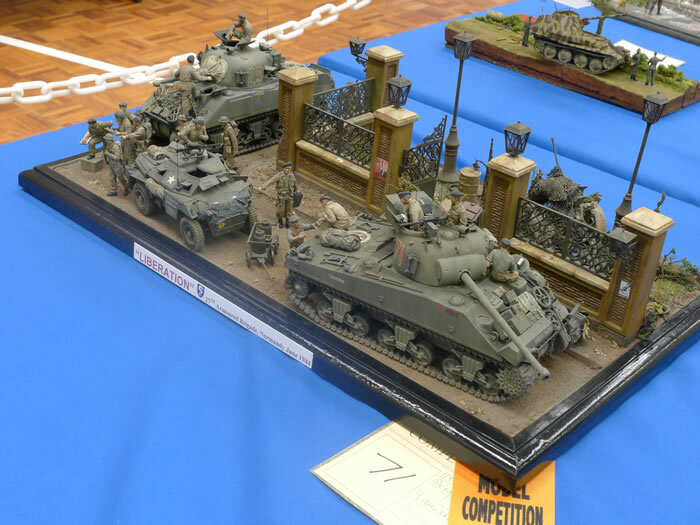 315 models across all categories were in competition on the tables. 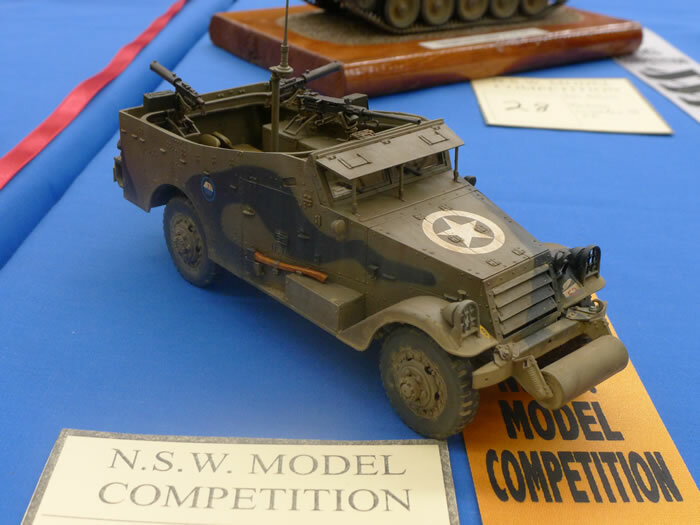 It was especially pleasing to see more than 50 models entered in two Junior categories - up to age 11, and 12 to 16 years. 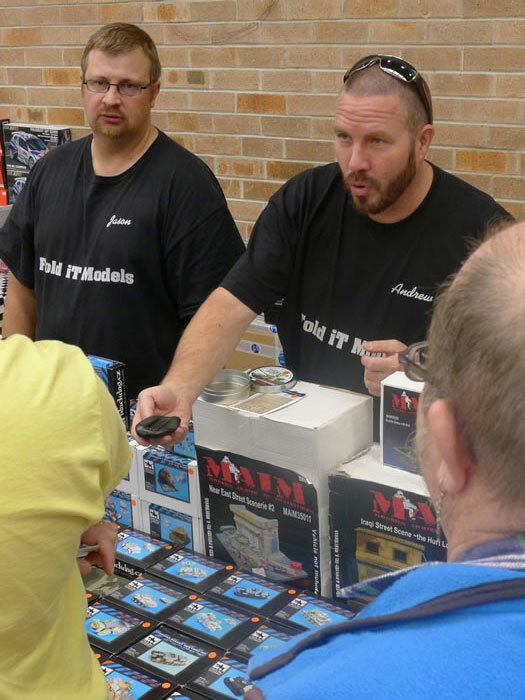 A dozen traders were also on hand. 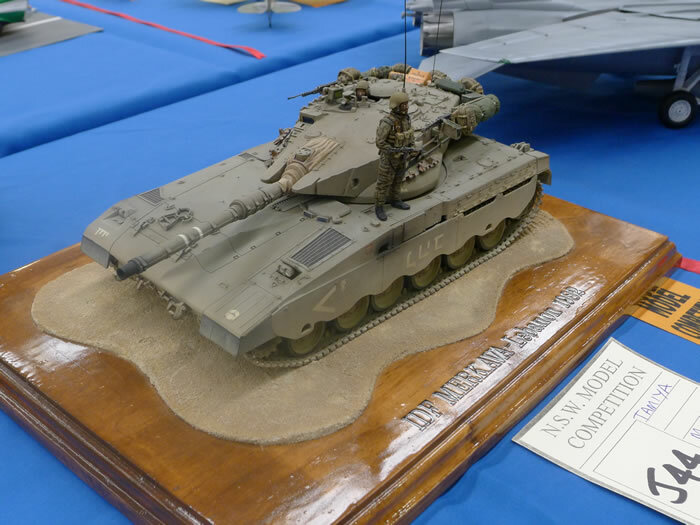 Amongst these was the first public appearance of FoldiT Models, a brand new retail enterprise by Andrew Judson and Jason Woollett, who will be familiar to visitors of HyperScale and Missing-Lynx. 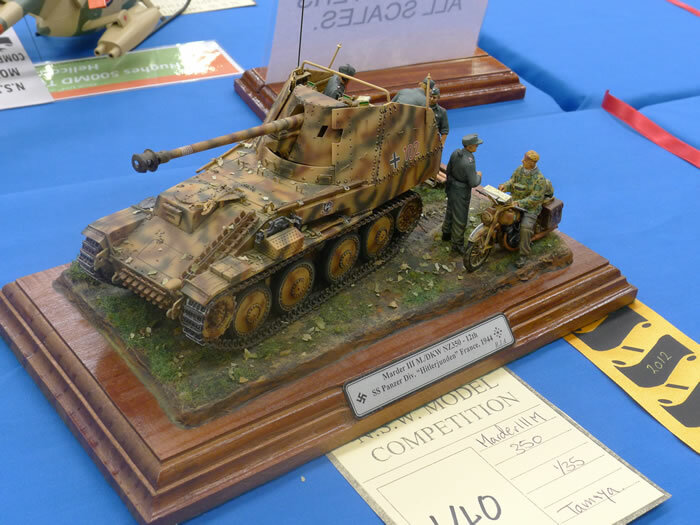 FoldiT's website may be found by following this link. 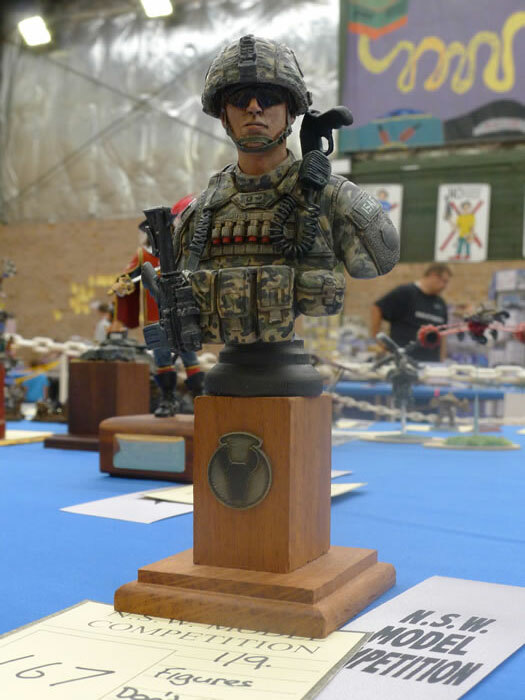 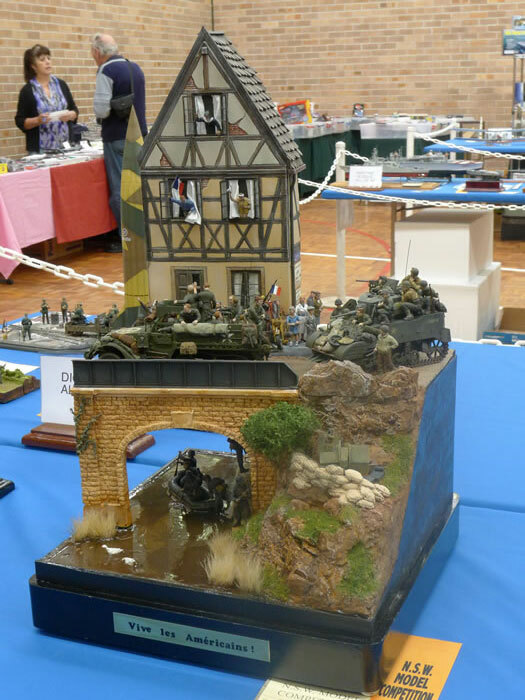 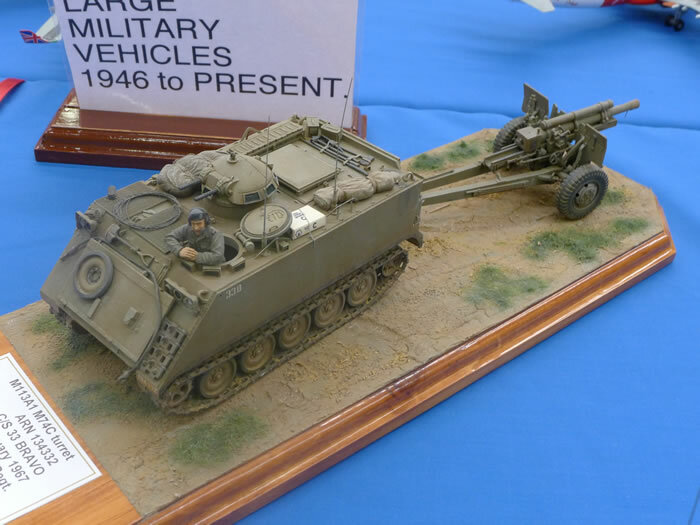 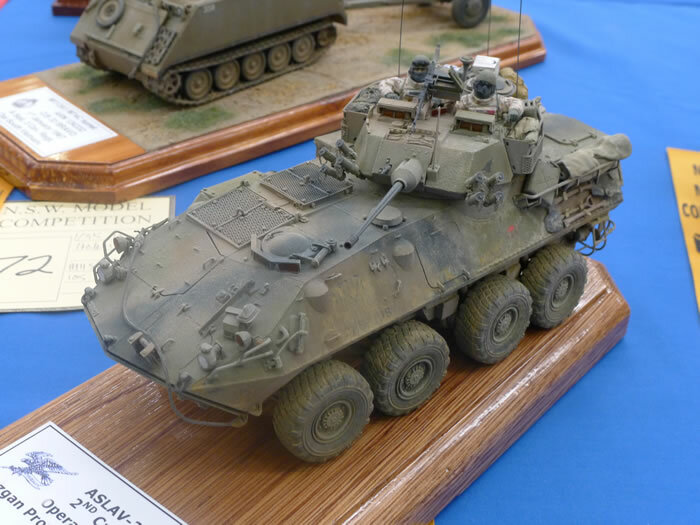 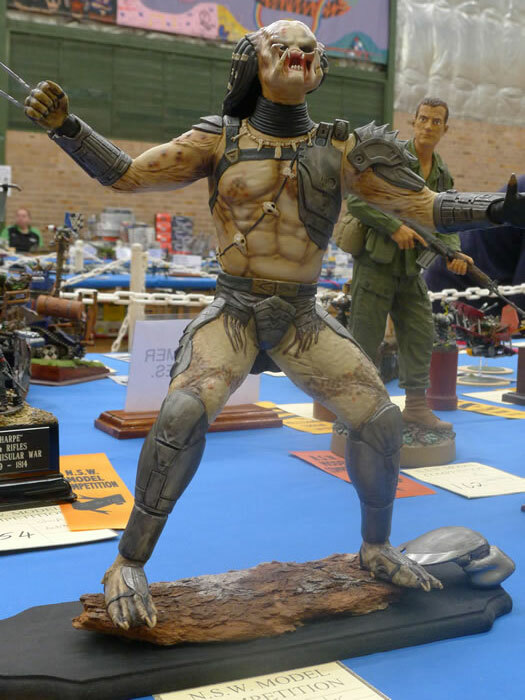 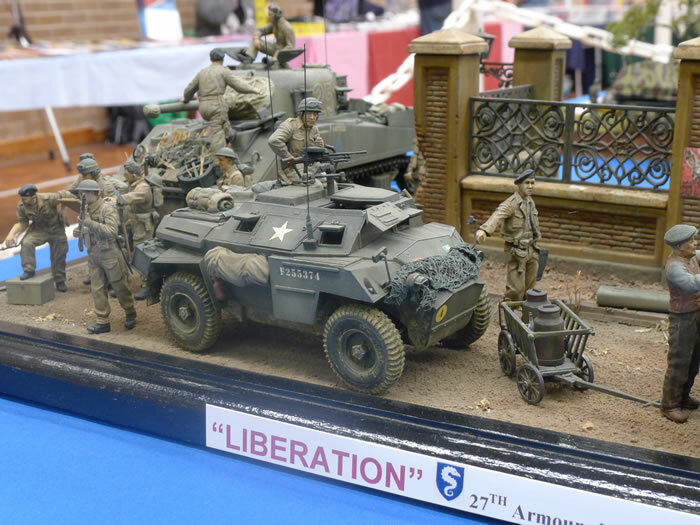 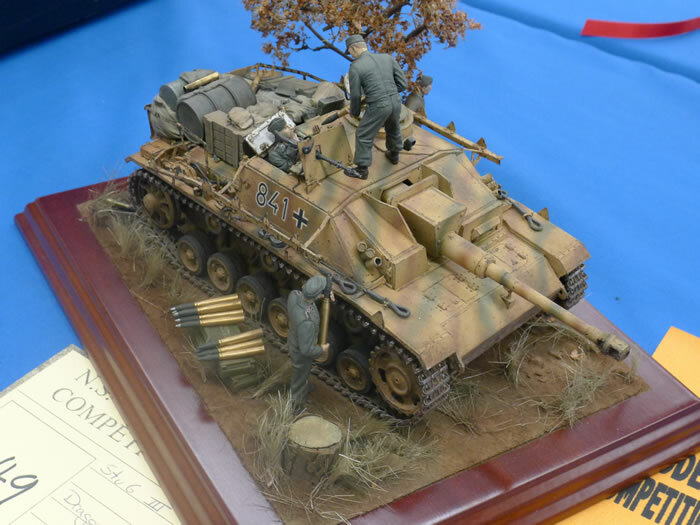 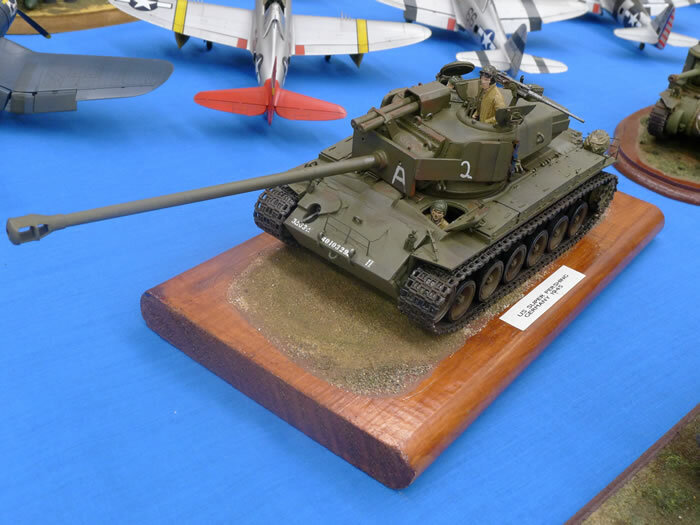 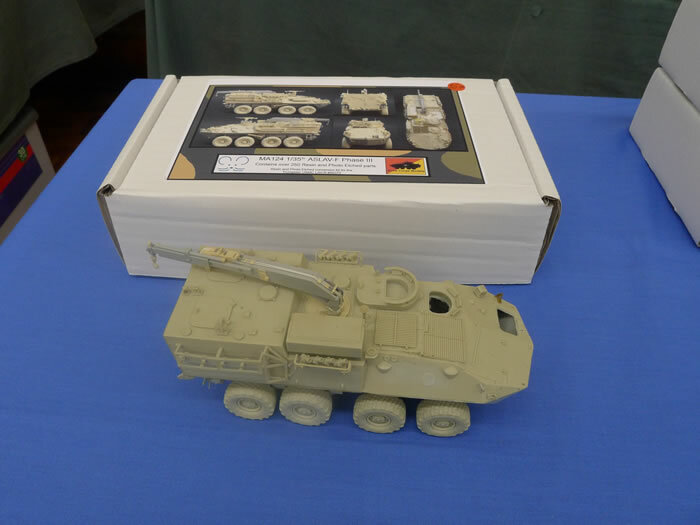 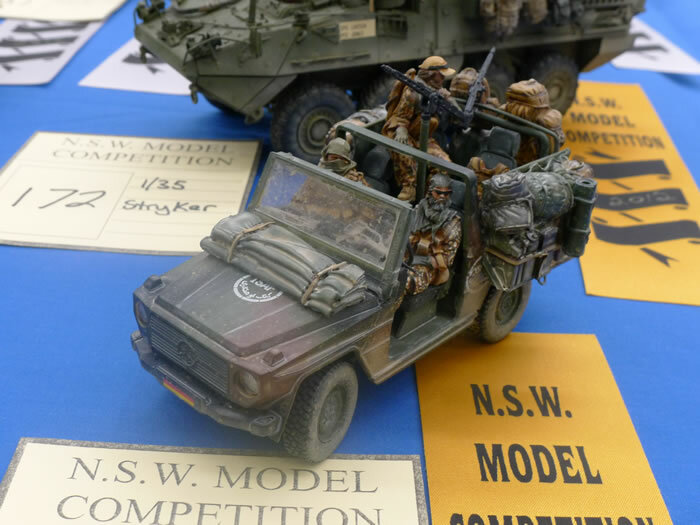 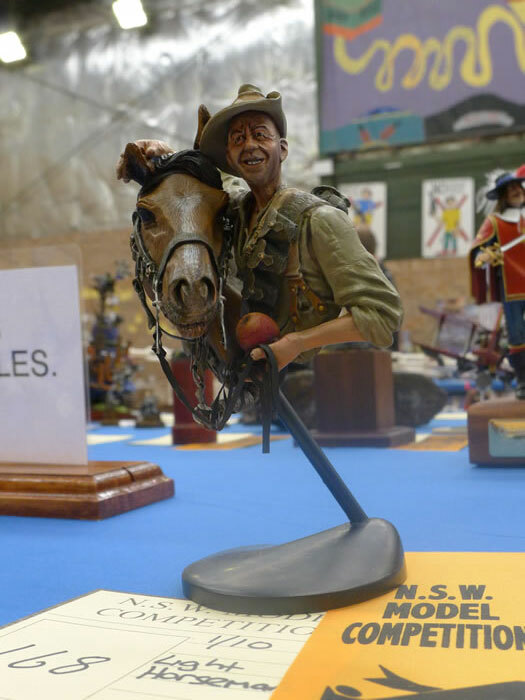 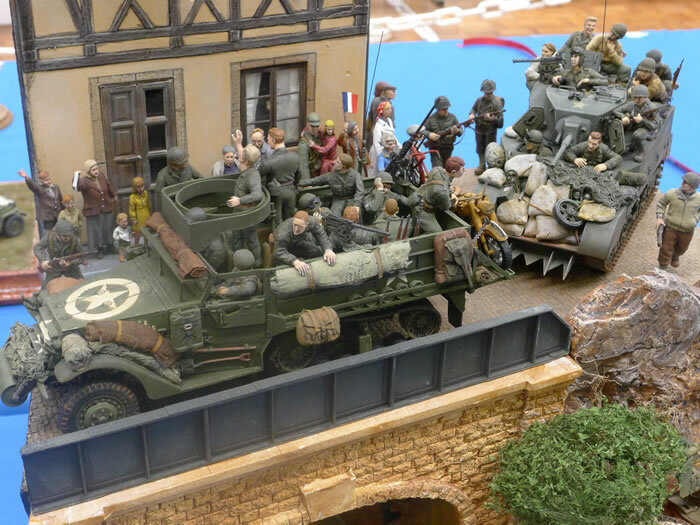 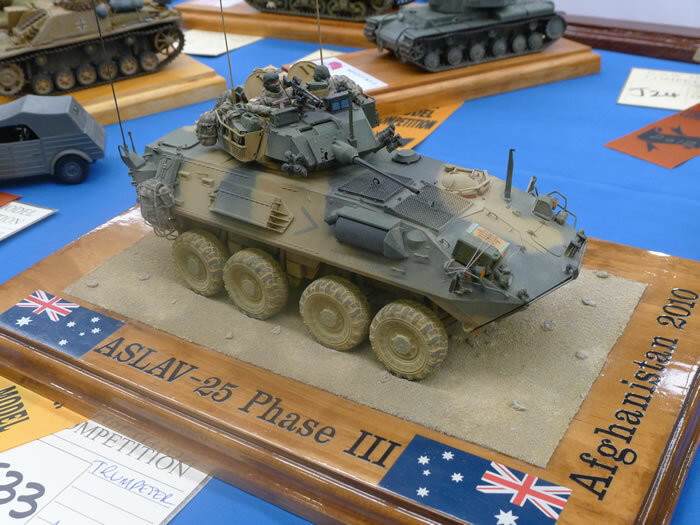 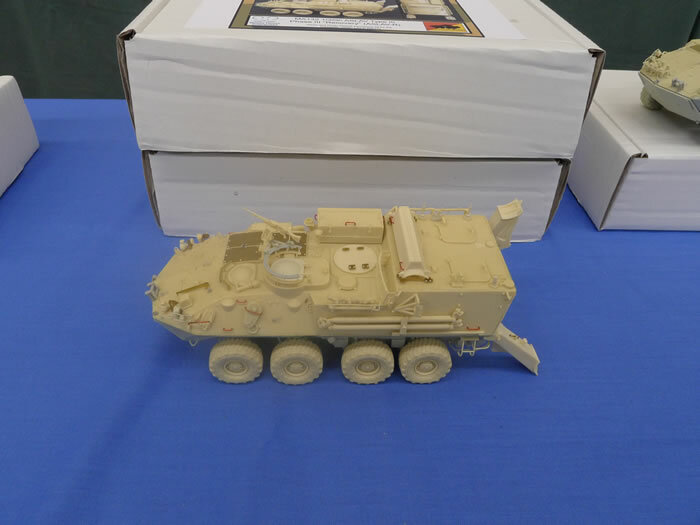 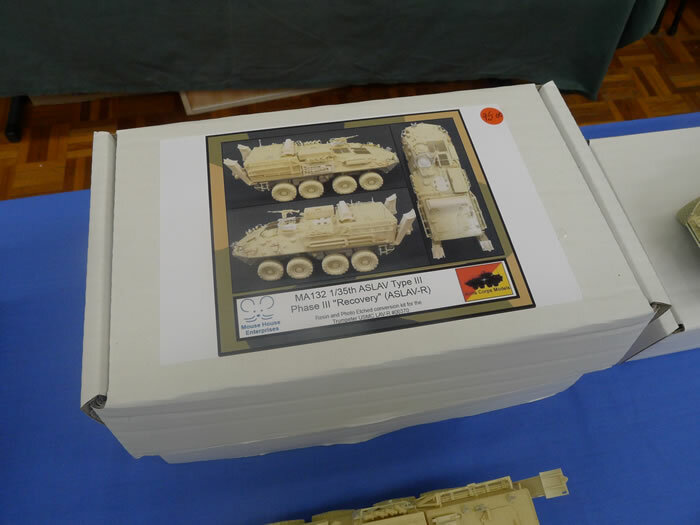 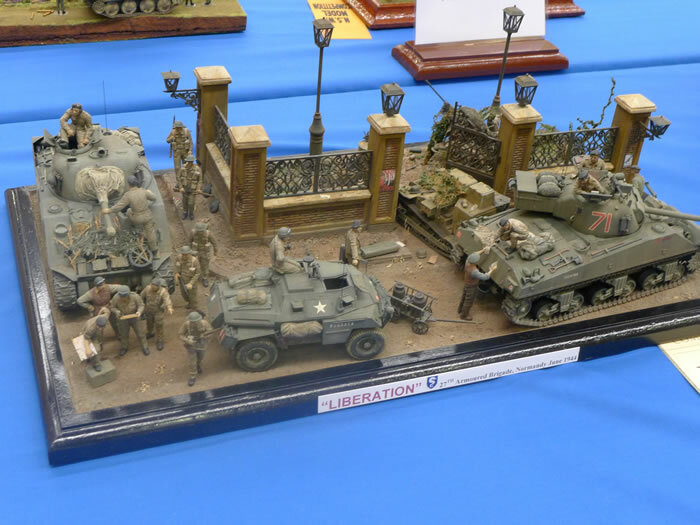 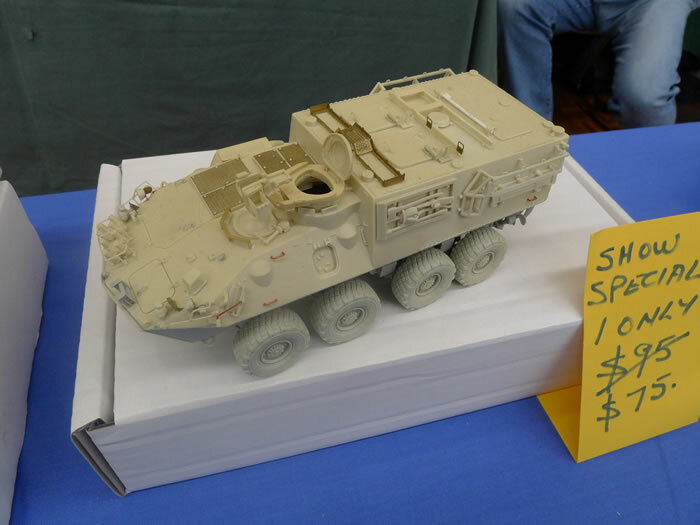 Here is a selection of the military models and figures on display and in competition at the 2012 NSW Scale Model Expo.